Here is my take on the current Fusion challenge using both the photo and the sketch. Thanks for coming by today. I always appreciate your visits and your comments. Love how you have used the inspiration photo! What a wonderful splash of brilliant colors. Oh, this is so fabulous. I agree it is a glorious explosion of color. 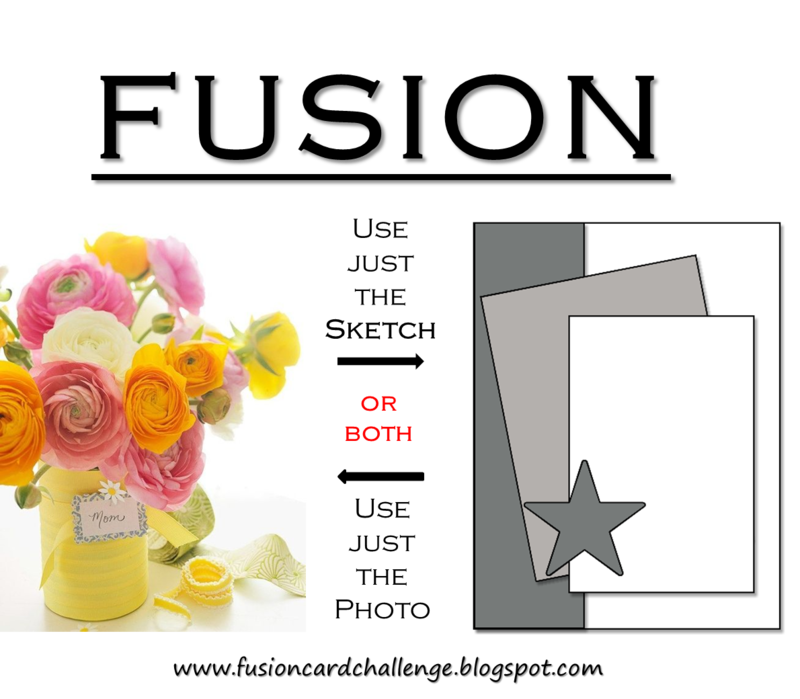 So fun to see that old grunge me set in use. Makes me inspired to pull mine out too. 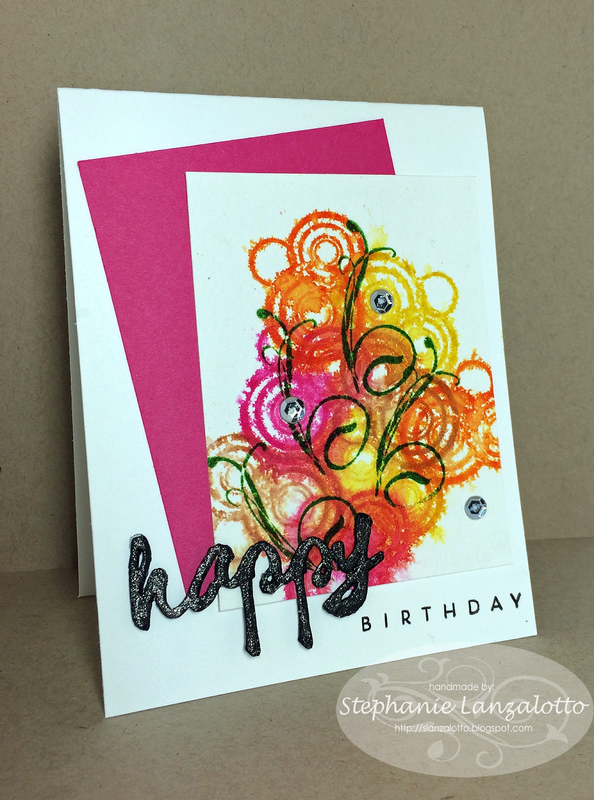 What a fun, colorful and funky card - LOVE it!